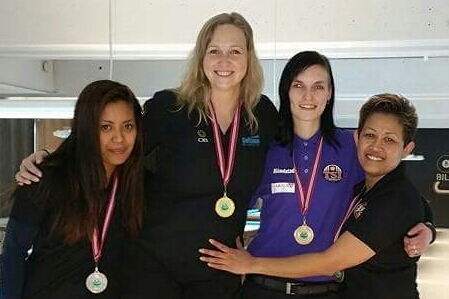 After a long weekend playing both in the open and women’s division I am now Norwegian champion 8-ball women, undefeated through the tournament. In the open division I lost my match to qualify for the last 32 to my teammate Fredrik Førde and ended 33 out of 93. It has been a good poolweekend and Oslo Biljardklubb have done a great job with the event. Thank you! Congratulations. It’s good to be the proud father.